25th Anniversary Edition includes bonus tracks! With the well-known hit single "Low" from the album Kerosene Hat Cracker gained widespread notice. Their alternative country rock sound is drained in their humorous lyrics. The album was everywhere during the summer of 1991 and with both the music and lyrics on the mark the record achieves something close to greatness. The catchy tunes and amazing solos sets the course for the different songs on the album. Besides their hit classic "Low" songs like "Kerosene Hat" and "Sick of Goodbyes" gives you a good impression of the quality of each individual band member. 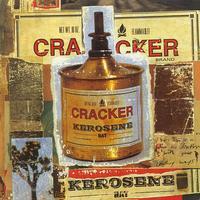 Cracker was formed in 1991, led by singer David Lowery and guitarist Johnny Hickman. After releasing their debut album Cracker in 1992 they have been touring constantly. Kerosene Hat's 25th anniversary edition includes the bonus tracks "Euro-Trash Girl," "I Ride My Bike" and "Kerosene Hat (Acoustic Version)." When u buy a MOV lp u know your getting a quality product and this lp is no exception. A nice sturdy gatefold cover with top of the line rice paper inners.The lp is flat, centered, and quiet. Excellent sound and with the addition of bonus tracks including the best song they ever did(Eurotrash Girl) make this one of the finer reissues I have purchased.